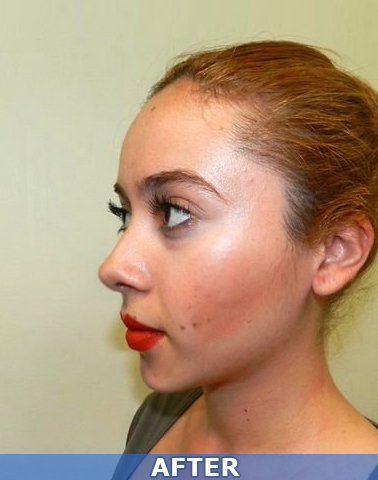 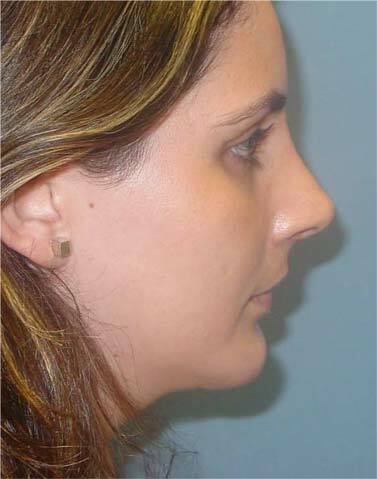 Rhinoplasty or nose job is a surgical procedure that gives balance to the facial features. 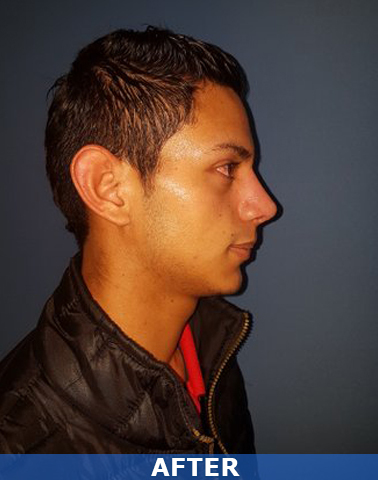 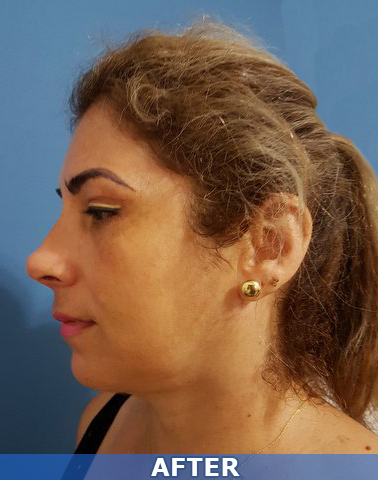 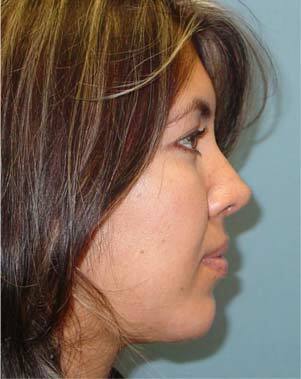 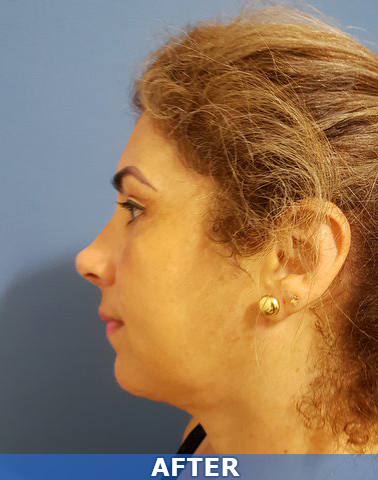 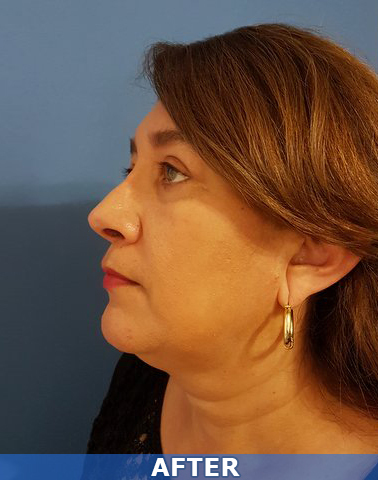 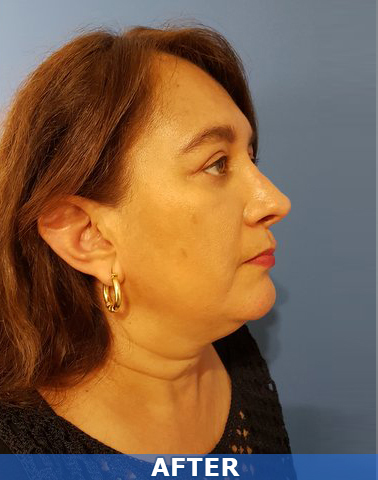 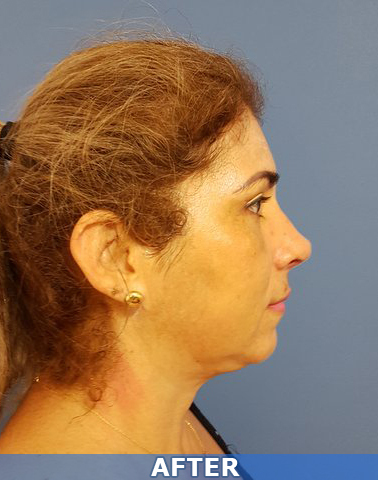 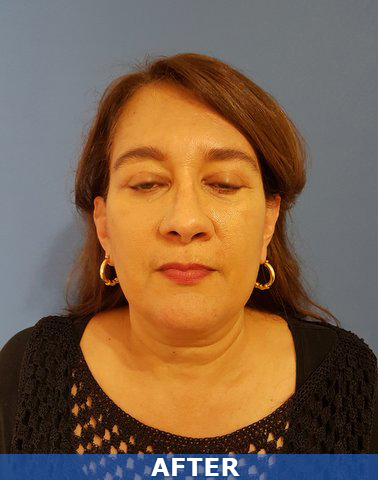 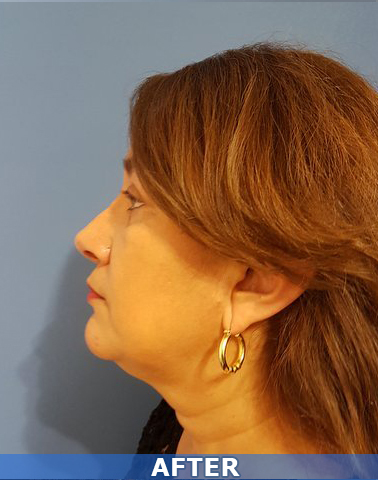 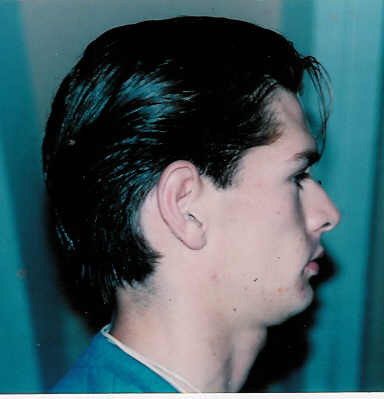 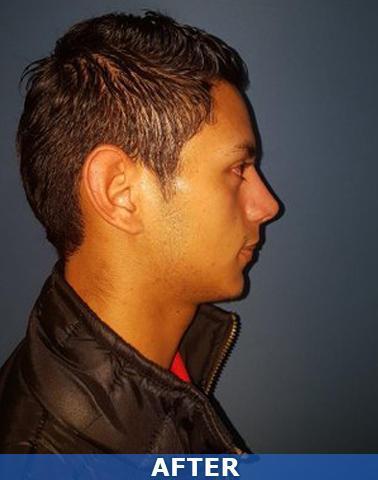 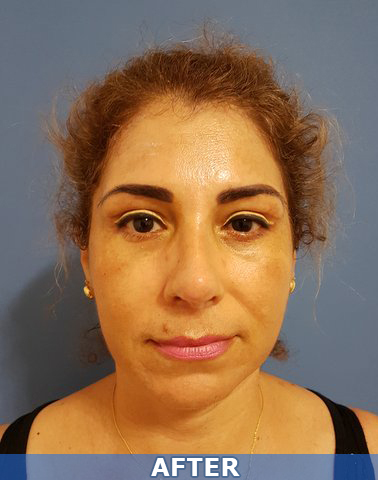 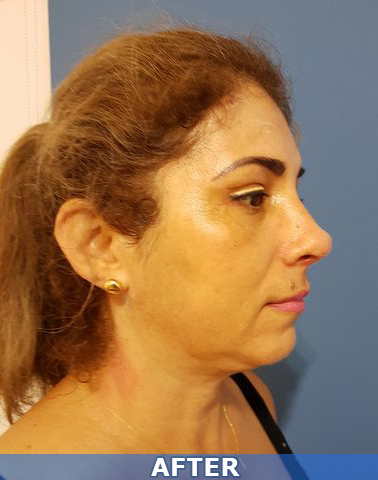 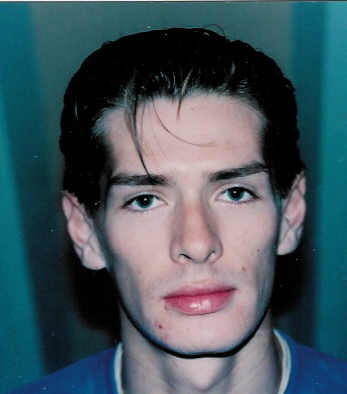 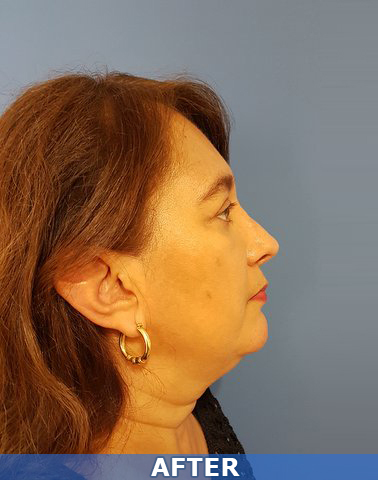 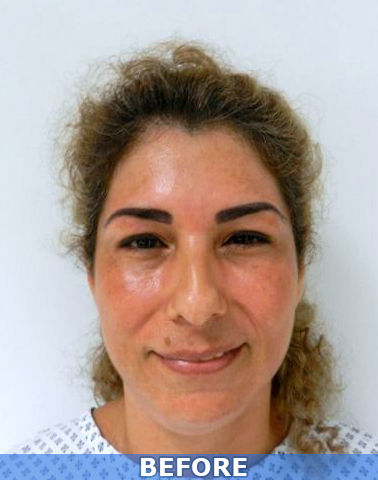 How: Reducing the nose size, changing nasal dorsum, changing nasal tip projection, decreasing or augmenting the nasal height and changing nostril size or shape. 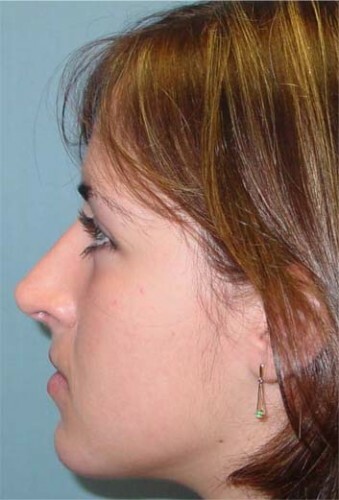 All this resulting in a patient more pleasing result. 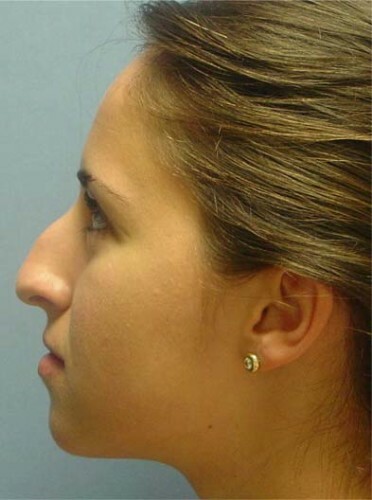 Remember that when the surgeon reshapes the nose can also correct structural defects that may cause breathing problems. 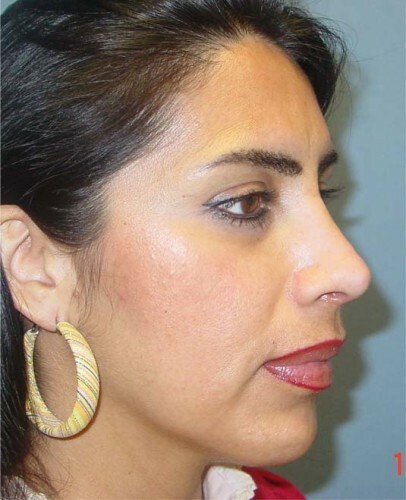 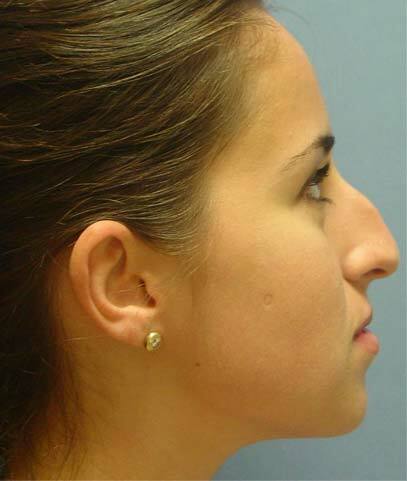 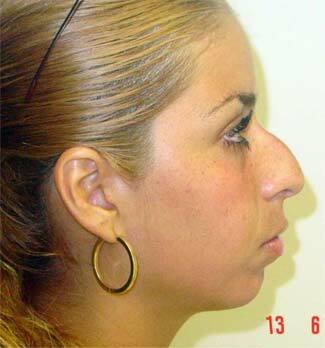 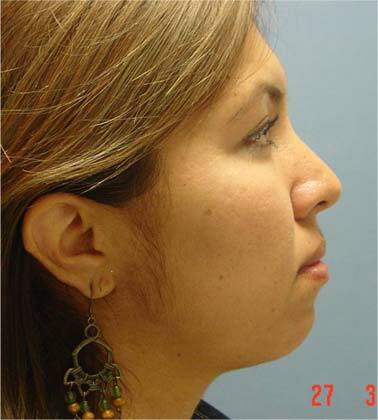 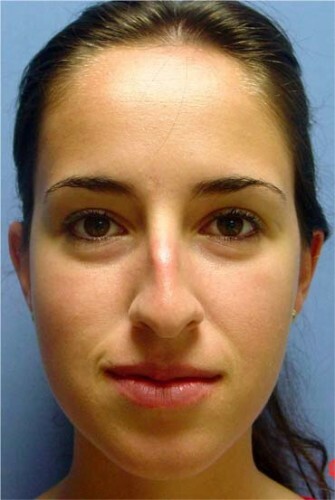 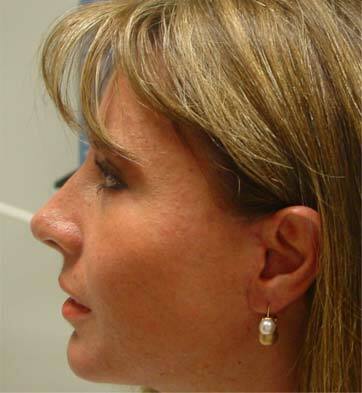 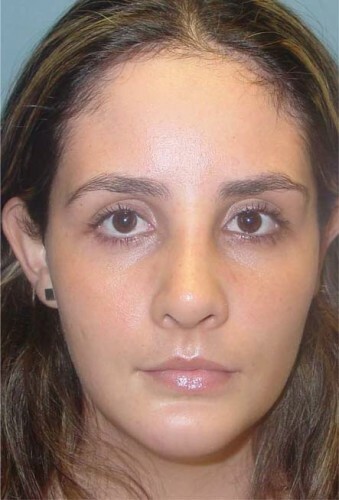 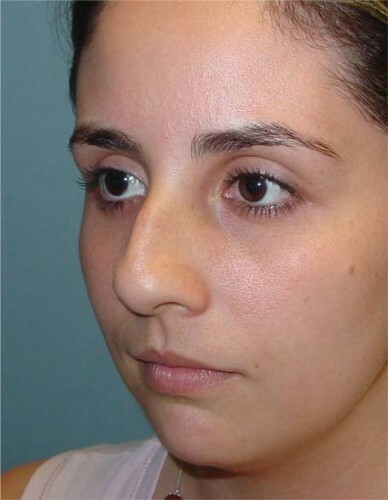 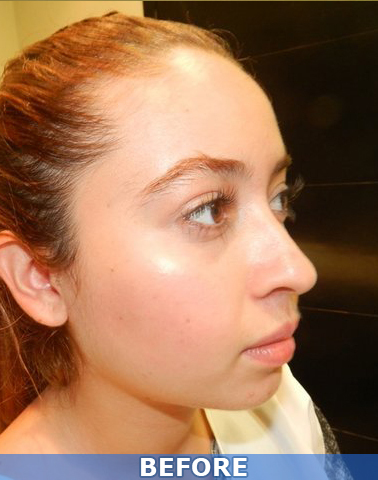 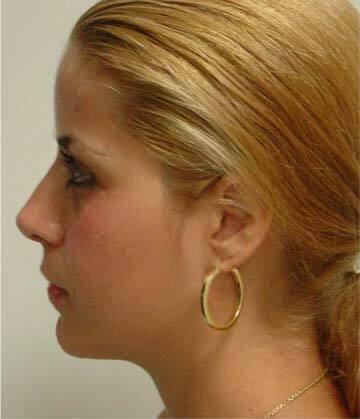 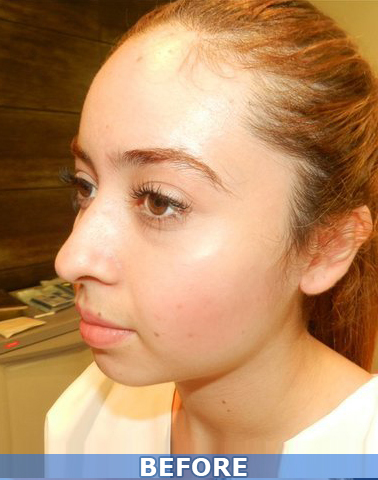 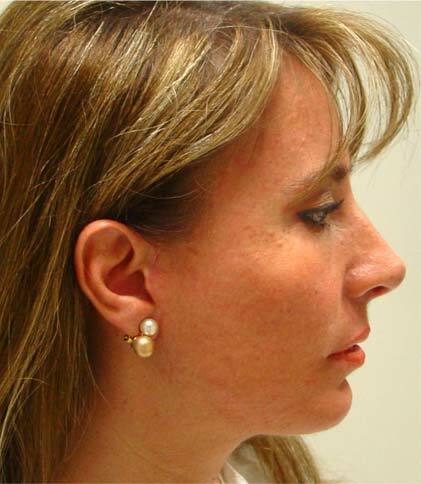 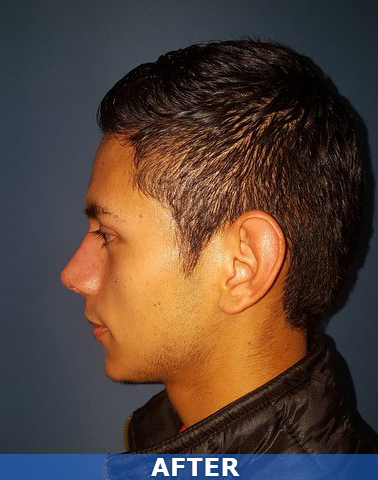 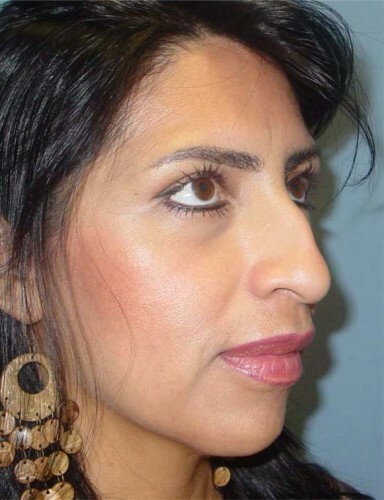 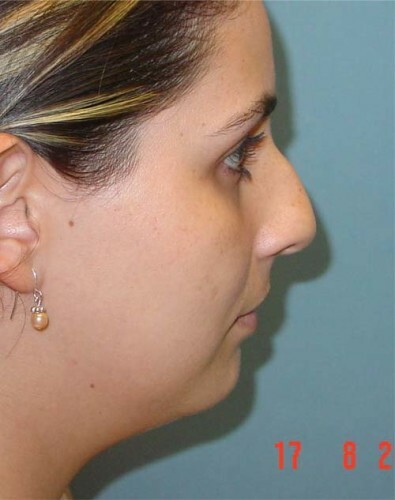 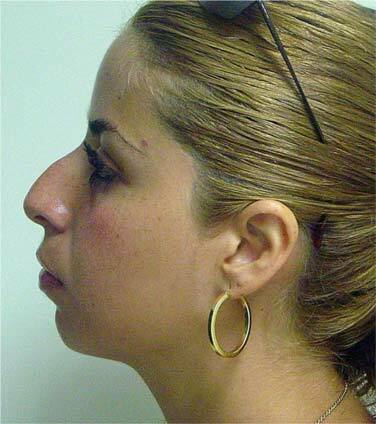 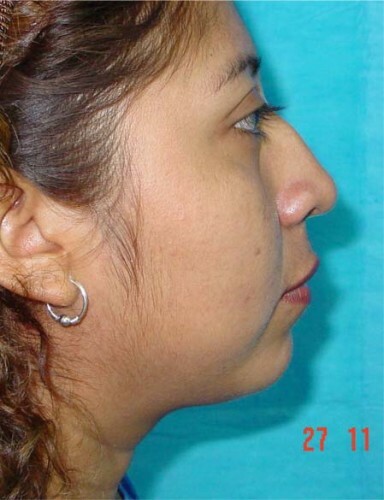 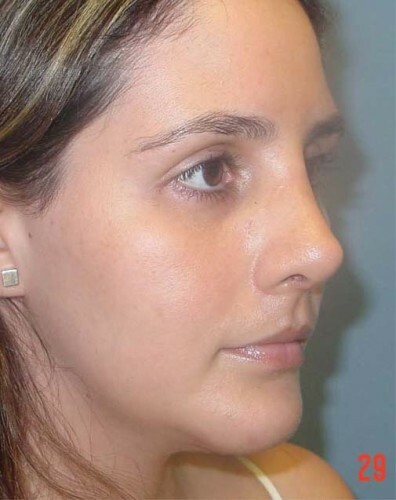 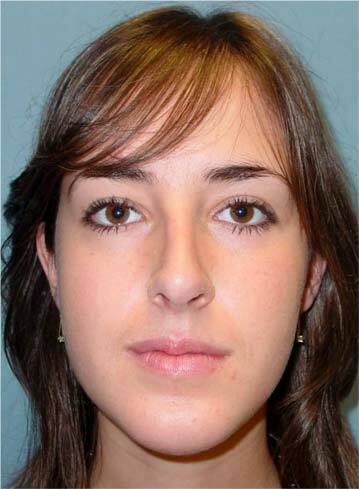 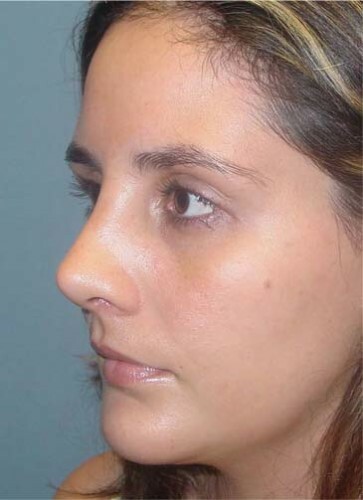 Rhinoplasty can restore proper nose function allowing the patient to be able to breathe through both nostrils. 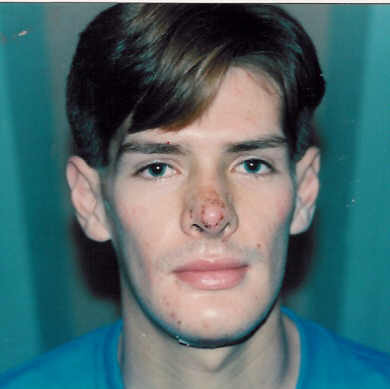 The surgical incisions are made inside the nostrils, the skin is then separate from the bone and cartilage making the desire adjustments, the nasal passages are packed with intranasal gauzes, micropore tape is placed over the nasal dorsum with an external acrylic nasal splint. 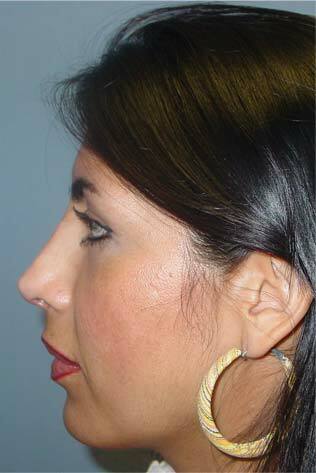 The intranasal gauzes are removed in two days, but the acrylic splint has to be worn for about one week. 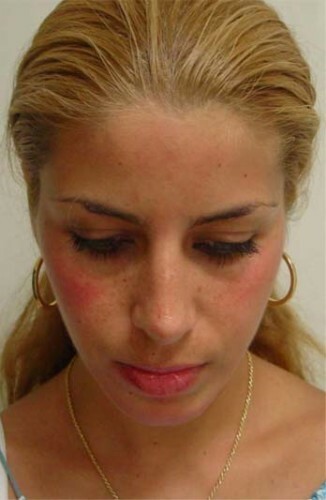 By the second day pos-op bruising and swelling around the eyes can be present, lasting for about ten days. 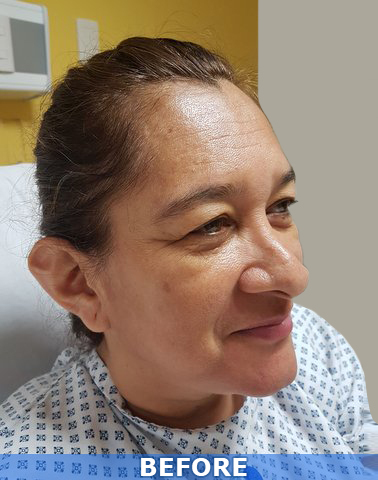 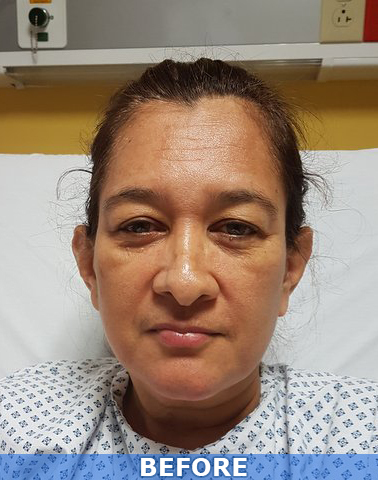 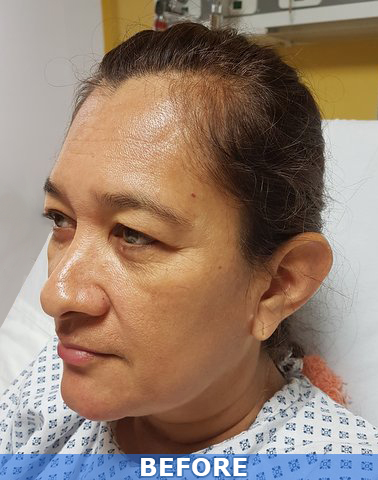 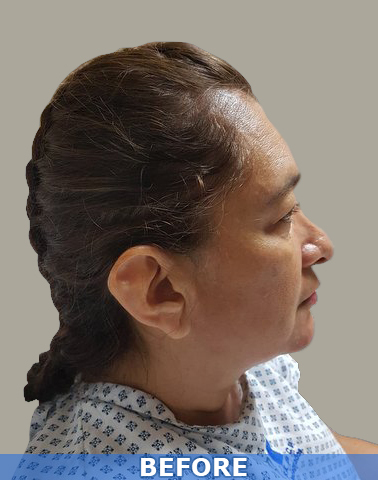 Rinophasty can be performed under local anaesthesia, with light sedation or even general anaestesia, depending if there is need to make bone adjustments or bone fractures. 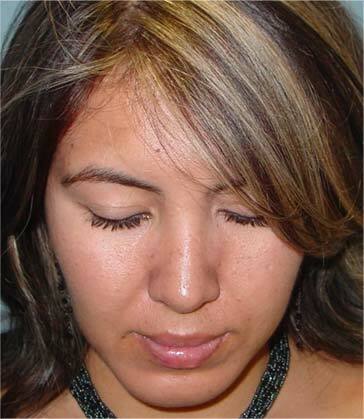 The operation normally takes one or two hours in the operating room. 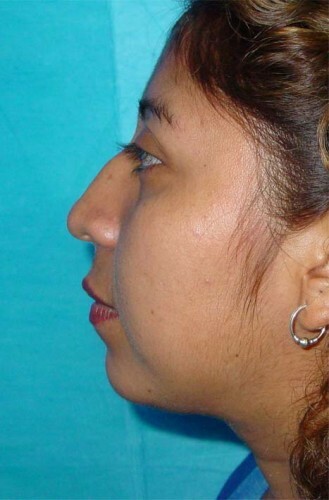 Most people who undergo this surgery can return to work after one week, giving the bruising and swelling time to fade. 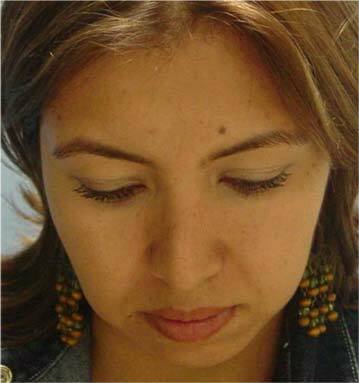 Sports and activities that could result in injury will be avoided for six weeks certainly ten days. 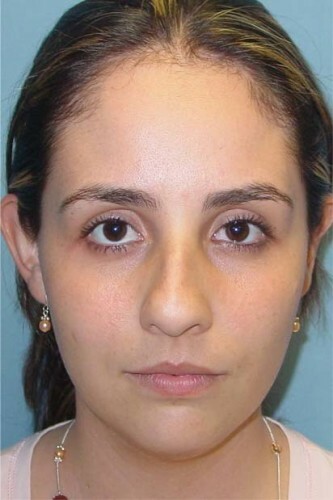 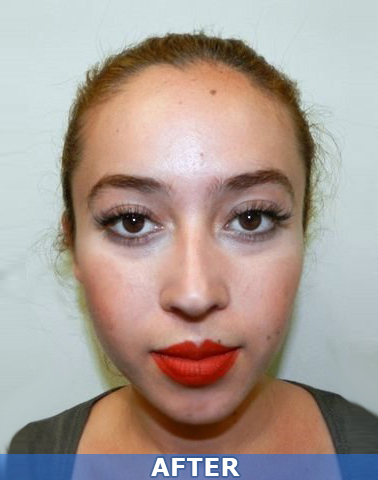 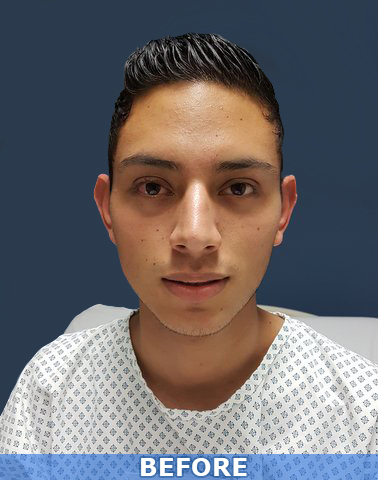 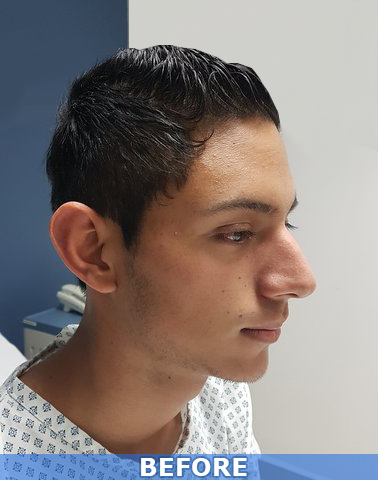 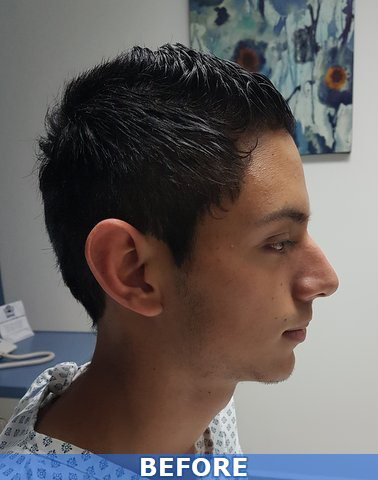 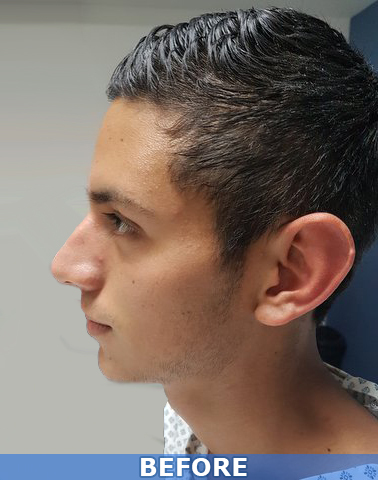 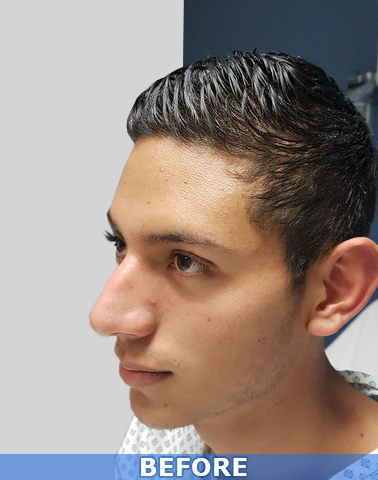 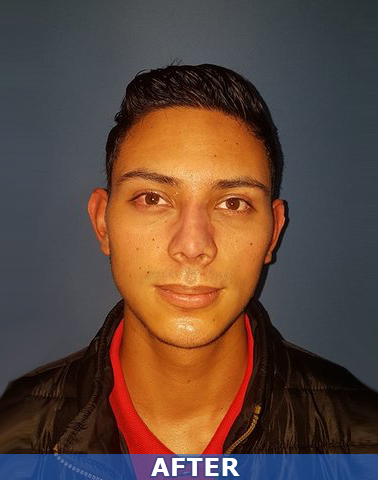 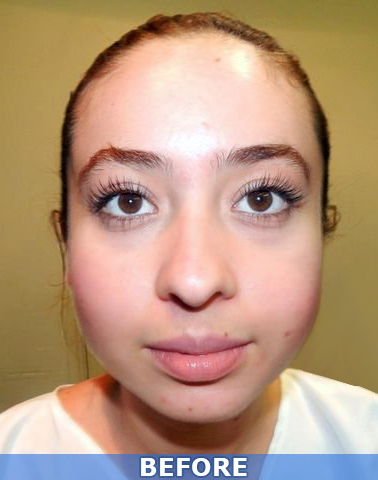 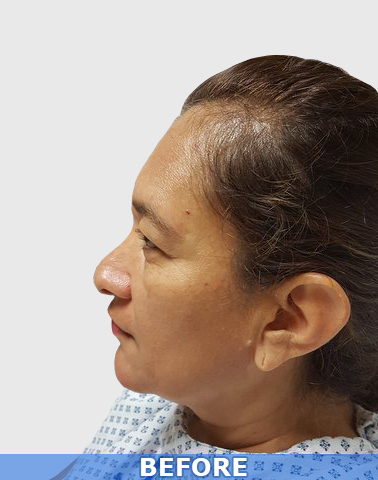 After the rhinoplasty the patient will be able to see good results in the nose shape, but it’s important to remember that the final results will take for at least six months. 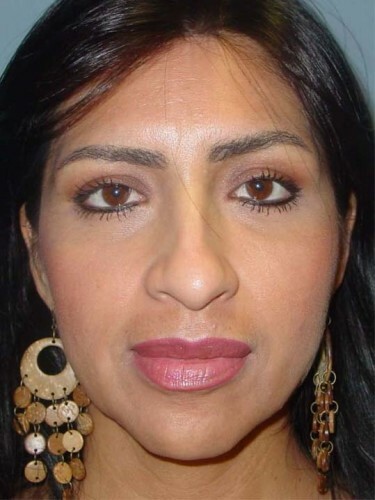 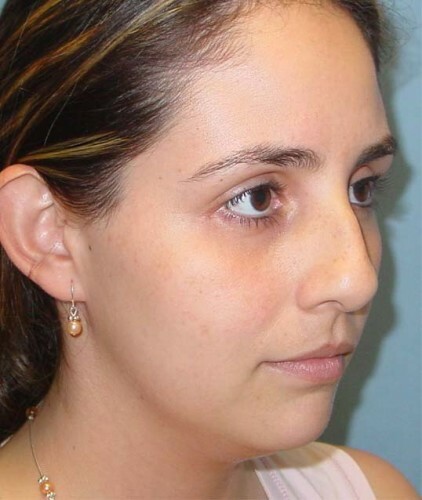 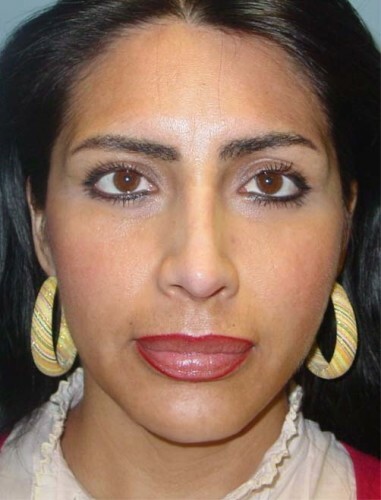 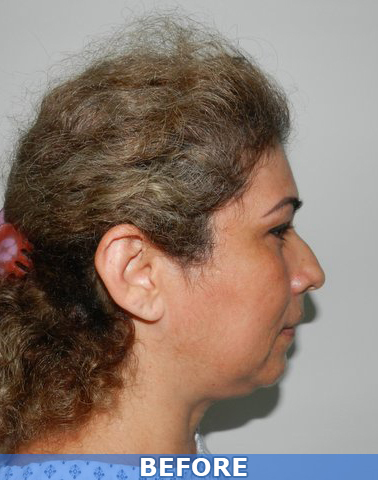 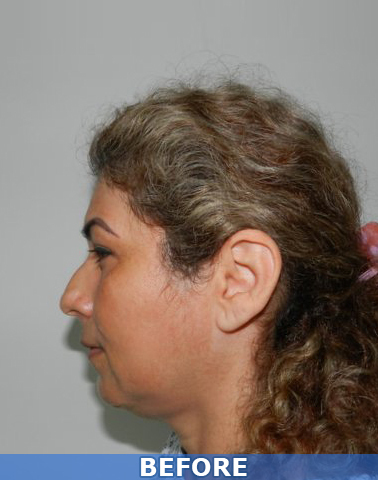 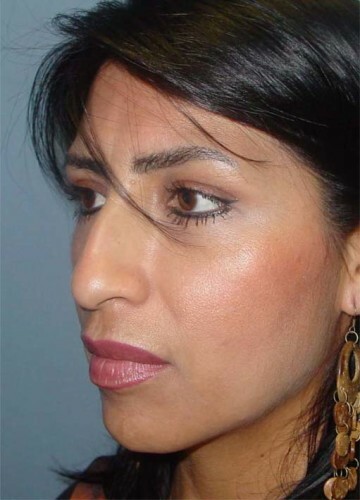 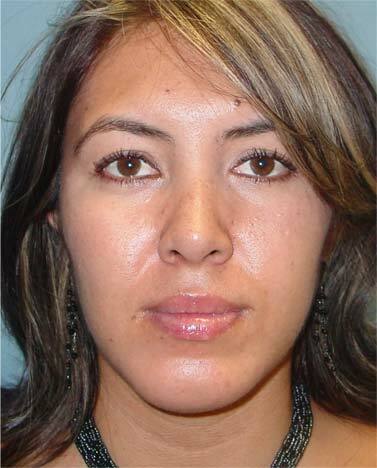 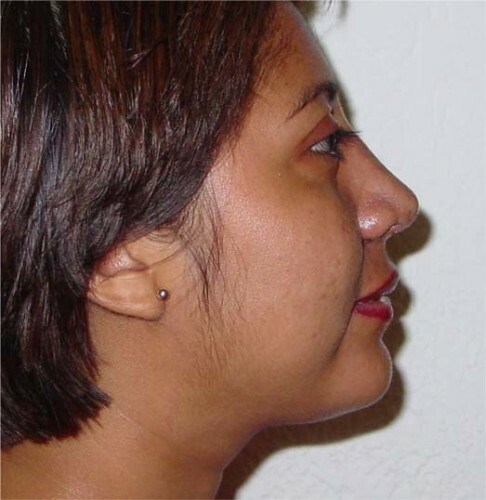 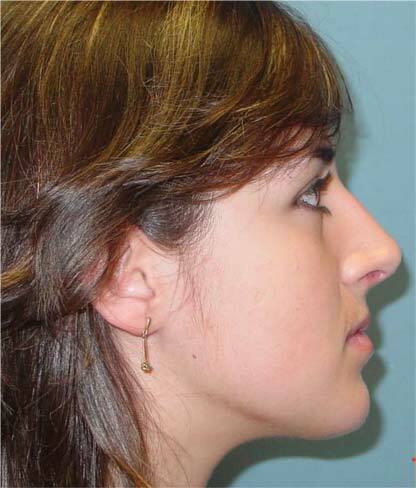 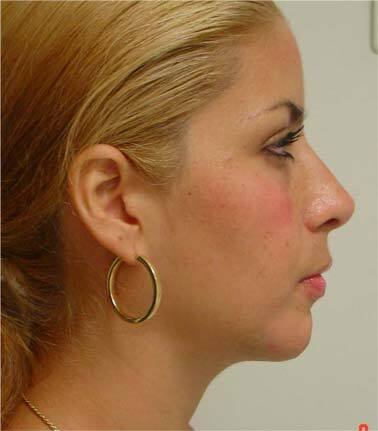 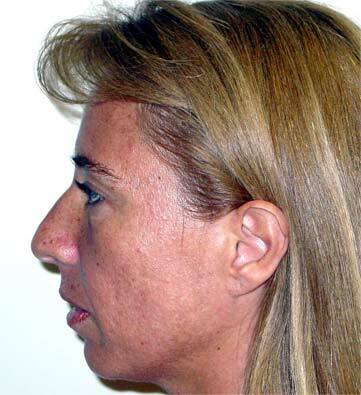 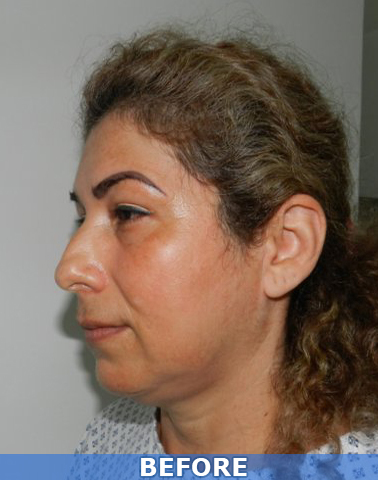 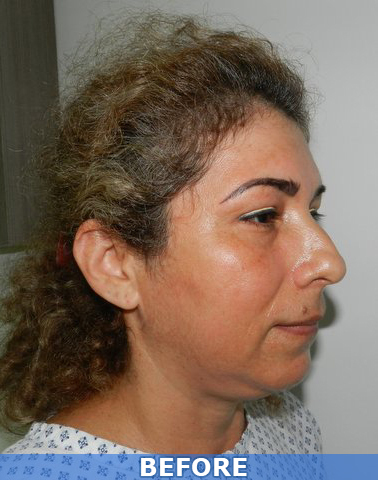 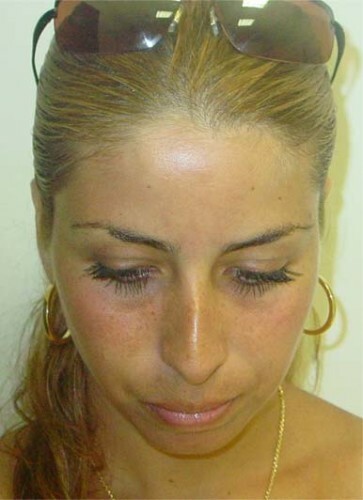 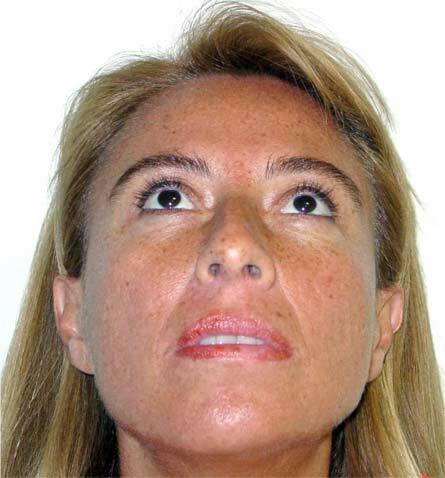 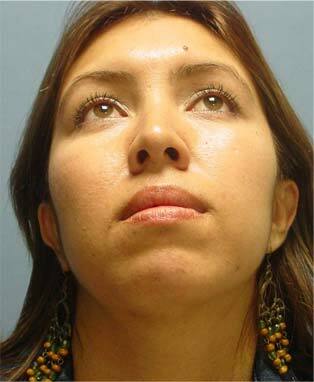 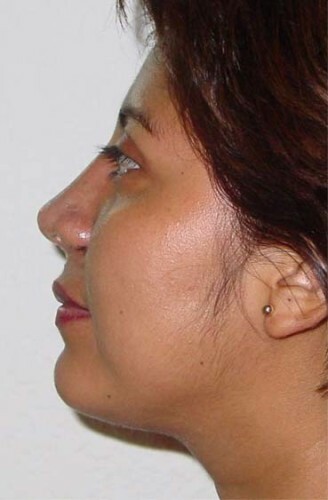 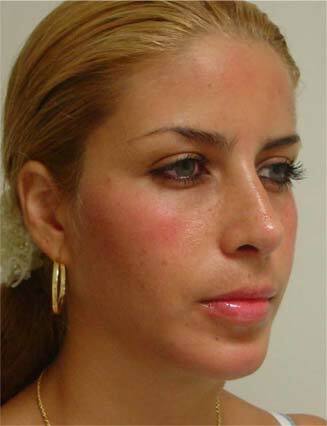 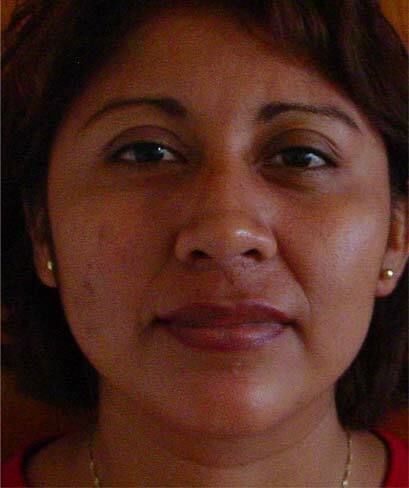 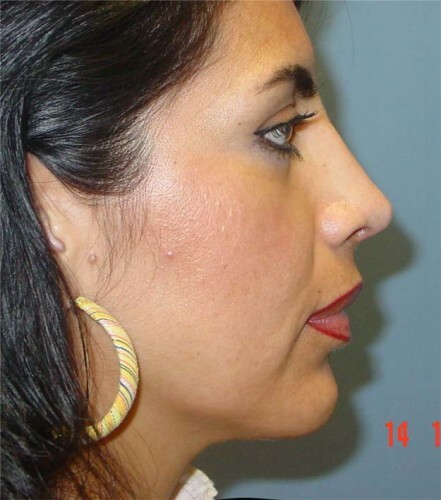 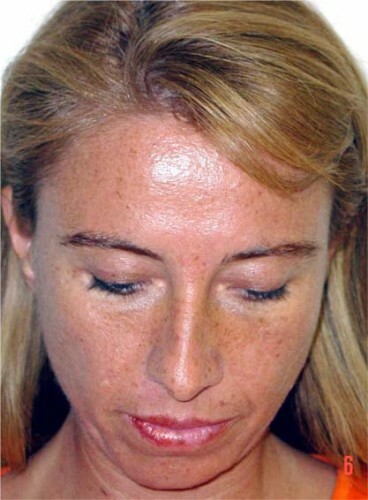 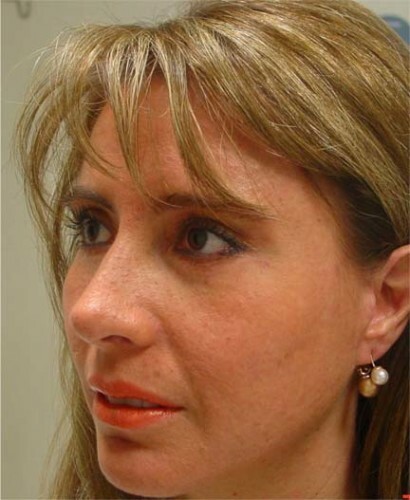 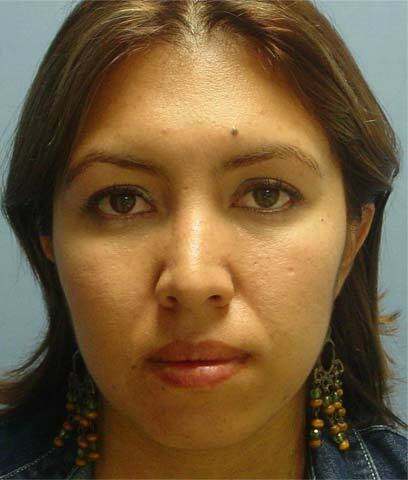 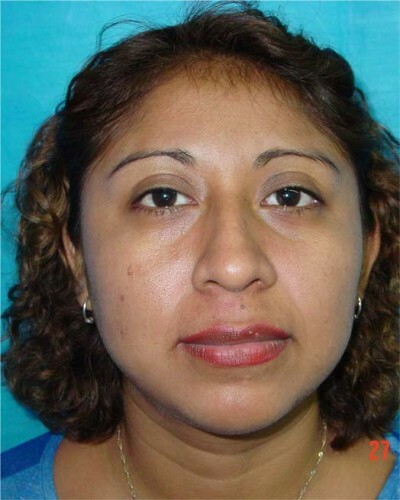 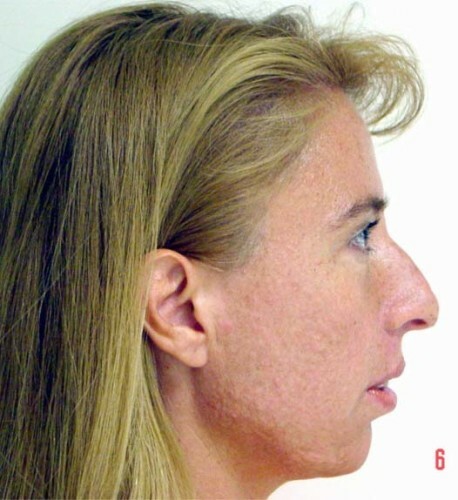 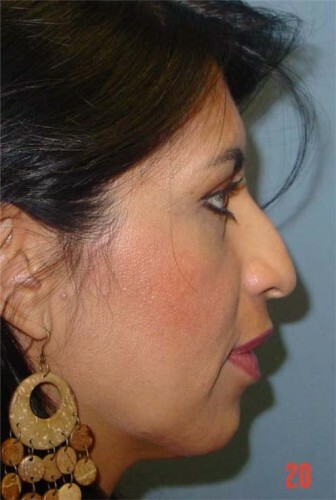 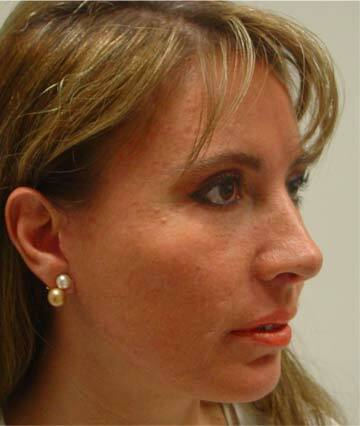 Remember you have to seek for balanced and harmonic nose-facial features that will improve the entire face. 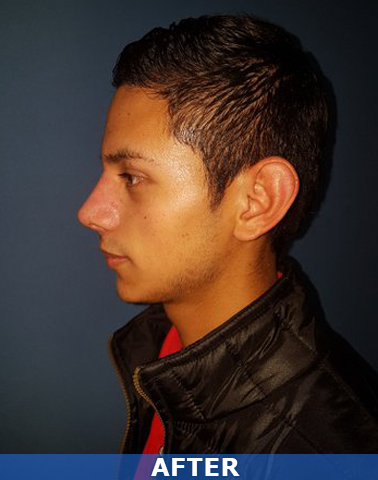 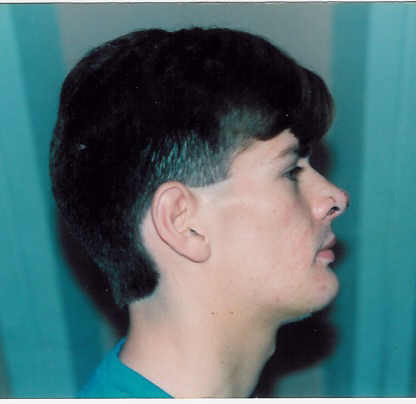 Forget about asking some specific nose model. 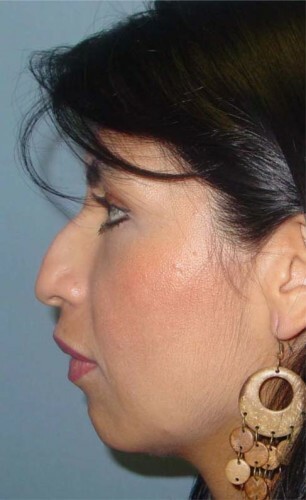 And finally remember that a second operation for minor adjustments is common in 5-10 percent of all the patients.